He was born on Nov. 2 in Evansville, Indiana. He and his wife Joan married on Sept. 3, 1960, immediately before his senior year at Harding College. They have two children: A son, Philip Goad who is the VP in Charge of Institutional Development at Heritage Christian University in Florence, AL; and a daughter, Gretchen Goad Boje who is a Doctor of Chiropractic in Danville, KY. The Goads currently reside in Lebanon, TN. Their phone number is: (615) 453-5594. 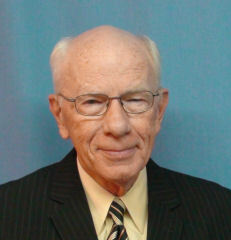 Brother Goad has served churches in Illinois, Indiana, Kentucky, Georgia and Tennessee. He also has done mission work in India.